NutraBio has just launches its most unique flavor of whey protein isolate ever: Bourbon Banana Nut. In fact, this may be one of the most unique protein flavors ever created. NutraBio's Bourbon Banana Nut will be available only in their 100% Whey Protein Isolate series for now. As we've seen the brand do many times already this year, we could see this flavor expanding to other forms of protein in the near future. Mark Glazier, CEO of NutraBio, stated that this is his favorite flavor to date. Bourbon Banana Nut will join Pancakes & Maple Syrup, Blueberry Muffin and Sugar Cinnamon Donut as the new protein flavors in 2019. Use coupon code INFORMANT to save 10% on your entire NutraBio order. This...this I have to try. This may be the coolest flavor I have seen come from a "big" brand. I definitely did not expect this from NutraBio but when I heard they were dropping it, I got excited real quick. Once we try this we will post a flavor review. Let's GOOOO! “​We are tired of the marketing companies overtaking OUR industry. At Fitness Informant®, will not be influenced by outsiders during our review process.  Here at Fitness Informant®, will not be influenced by outsiders during our review process. We will strive for greatness. We will be here for you. We will always be honest. Together we will achieve better health. The content on Fitness Informant® is for information purposes only. By delivering the information contained herein is does not mean preventing, diagnosing, mitigating, treating or curing any type of medical condition or disease. When beginning any natural supplementation regiment or integrative treatment, the advice of professionally licensed healthcare providers is advisable to seek. © 2019 Fitness Informant. © 2019 Fitness Informant, LLC. All Rights Reserved.